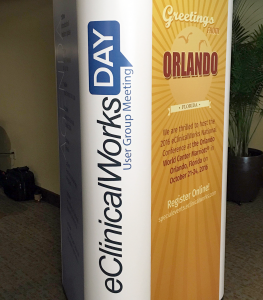 In our final episode of season 2, we visit with some of the more than 200 attendees at eClinicalWorks Day in Tampa, Florida. 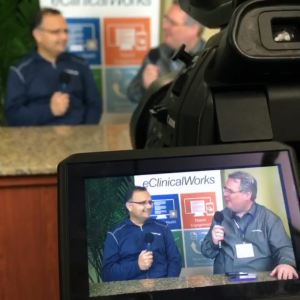 Host Brian Saal chats with customers about how they use eClinicalWorks and what their favorite features are. 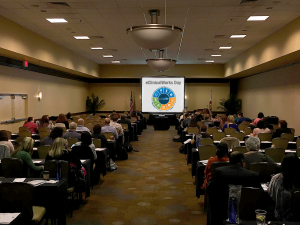 Every year we will host another eClinicalWorks Day in a city near you to keep you, so that we can continue our conversation about improving healthcare, and keep you and your colleagues up to date on new offerings from eClinicalWorks. eClinicalWorks Day features free educational and training sessions for your practice. Take advantage of the opportunity to connect with other eClinicalWorks users in your area, and meet with our support representatives and trainers. We hope eClinicalWorks Day will help you form new connections with local eCW users. The local User Group message board at www.ecwusers.com makes it easy to stay in touch throughout the year, online, by phone or in person. Brian: Hi, this is Brian Saal, and welcome to another edition of the eCW Podcast! Today we’re in Tampa, Florida at an eCW Day event. We hold these events several times a year, actually about 64 times a year, at several cities around the country. What we’re trying to do at these events is to give clients an experience that’s similar to a smaller version of the National Conference. Today, we had over 200 people in attendance, and during that time we gave presentations on everything from Meaningful Use to product demos. One of the other wonderful things that we have with us at these events are that we bring down folks that are experts in training and support, as well as billing and eBO. With me right now is Satish Khakhar, and he is one of our training specialists, and he’s been very kind to join us this afternoon. Hi Satish. Brian: Good – just a couple of questions for you. How long have you been coming down to these events? Satish: So, I’ve been doing this for almost one year. Brian: A year, okay. And you’ve seen, obviously, a lot of clients in that time. We generally see people for about 20 minutes, at a time and that lasts for about six or seven hours a day, so it’s a pretty busy day for you, isn’t it? Brian: Would you say that there’s a commonality or a common question you’re getting from folks in the training area? Satish: Yes, we do – it depends on the time, when ICD was coming up, ICD-10, we had a lot of questions about ICD-10. Now we have questions about PQRS, CCM and common functionalities – like templates, letters, work orders, and all those things. Brian: Are you generally able to answer these questions for these folks in that short amount of time? Satish: Most of the time we are able to do that. If not, what we do is that we take down their email and we take down their contact details, and we follow up with them once we are back in the office. And that’s how we try to answer all their questions. Brian: Now, I know you can’t please all of the people all of the time, but do you think you make folks happy most of the time? Satish: Most of the time we have been able to do that, and they are very happy and clearly appreciating this face time, and they really like to take part in the support room. Brian: That’s certainly the feedback we’re getting, that clients really, really enjoy and get a lot out of the meetings that they holding with you and the other trainers. One last question, do you enjoy doing these? Satish: Oh, I love it. I’ve doing this for the past year and with the business development guys, with the support guys. When I travel, I get to meet the clients, and I really enjoy doing this. Brian: That’s fantastic. And we enjoy having you here, thanks, Satish, thanks so much for joining us. We’ll be back in just a minute, we’re talking with one of the presenters, Rick Bishop – stay tuned. Brian: Welcome back, I’m joined by my co-presenter, Rick Bishop, here in Tampa Bay at the eCW Day. Thanks for being with us, Rick. Rick: No problem, thank you for having me. Brian: Rick, you’ve done these presentations many, many times – can you give us a general idea of what the audiences expect from an eCW Day presentation? Rick: Well, I think they come with a couple different expectations on the topics that are presented, so some of them want specific questions answered, some of them want better ways of achieving it, and some people are just looking for information on a topic that they didn’t have time to research or is confusing to them. So, they’re just looking for clarity in most cases, on better ways or getting questions answered that they’re confused about. Brian: Now, over the last three years, the content of these presentations has changed dramatically. We’re still doing Meaningful Use, we’re still doing some demos. At least for this year, what do you think the most popular part of the presentation is? to know that you need to do it and do it completely. Brian: One of the things I asked Satish a couple of minutes ago was that he enjoyed doing these presentations. Do you enjoy doing them? Rick: I do enjoy doing the presentations. I think it’s a lot of fun to get to meet different people. I get to meet people that do it differently. I have providers or office staff that have major problems, and they’re looking for solutions and I’m able to answer or find a solution for that person. It’s rewarding, I like doing it – I do like to joke around and have fun at the same time, so some audiences allow you to do this like the one we just did was a great audience. Brian: Fun, a lot of interaction with them. They were a great time. Rick: A lot of interaction, a lot of questions, a lot of great questions. I think the most important piece of it is either being an expert and sharing that information with other people in that audience; it’s one thing that we come up on stage and we tell them how to do things in eClinicalWorks, how to view things on the Mac dashboard or look at different reports. It’s always interesting to see or have someone in the audience that took it to the next level and has been able to fill in the gaps on your presentation with their knowledge. Brian: Yeah, it’s great to see clients networking that way, and as you said, really sharing their own experiences and their own knowledge between one another and between us – it was a great experience today. Thanks Rick, for being with us today. Thanks for your presentation, you were awesome. Rick: Thank you very much, I appreciate it. Brian: Now let’s take a listen to what some of the clients that attended today’s presentation thought about it. Lisa Berdue: I’m here today to see what eClinicalWorks is offering in 2016, especially with all the new incentive program changes, and to really just get to know the system better and working with it. Alicia Shields: Every time I attend one of these lectures, I’m always leaving with information that is, in my opinion, critical for the practice. Some of the things I immediately go back to the practice and implement, other times I’m just capturing information that I need to know six months before it’s mandated of me, and so I appreciate, very much, the opportunity to come to these. Amanda Pace: I came to eCW Day because I first learned about EMR systems when I started at the practice a year and a half ago, and there was no one that had really good knowledge of it, so over the last year and a half I have learned everything I absolutely could about it. Coming today is my first step in learning even more and getting to talk to the people that created it, face to face. Melissa Bonacci: We’ve been using eClinicalWorks for two years as our EMR and we’d like to learn more about the program and how we can implement more modules to help grow our business and help grow our Meaningful Use. Lisa: I think it’s really important to get together especially with those that work with eClinicalWorks, and those in the community that are utilizing it, to get some great ideas, some suggestions, and just really show our appreciation of how well the system is working. 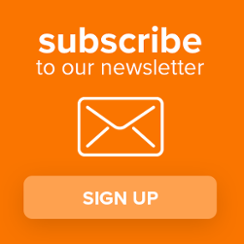 Alicia: It is free, it is something that is going to improve your workflow, your practice, it is something that you absolutely need and they’re giving you the information a few months before it is mandated. Therefore, you have the opportunity to implement the information and to do what needs to be done. So absolutely I would recommend going to the conferences. Brian: That was fascinating, hearing what our clients had to say about eCW Days – so great to hear that they enjoyed it. With me now is Harikaanth Racherla. Harry’s part of the support group that’s down here with us, helping out clients in the training and support room. We talked to Satish a couple of minutes ago, he explained what the training folks do – can you give us a little insight on what the support folks do that’s different than what the training folks do? Harry: So, in support we do all the break fixes, so generally, if a client has any errors that come up in the system, we take care of that. If they have any issues already created, and they come up with a case number, so we try to answer them. Also, if there is any new issue that comes up, they get a list and we try to answer them. So training is mostly how-to questions, whereas we handle the errors in the system. Brian: So, for the most part, would you say that you’re able to help them out? Harry: Yes, so today, clients were pretty happy seeing us face to face. Yes, a couple of clients also mentioned they love to see this happening more and more. Brian: Yes, it is fantastic. And that’s the feedback that we are getting from clients from both support and training. Well, thank you for being with us, we really hope that you’ll be able to join us for another eCW Day event, being held across this great land of ours. For more information on the eCW Days, please check out eClinicalWorks.com/events, and for more info or more podcasts, please check us out at iTunes, YouTube or on my.eClinicalWorks.com. This is Brian Saal, have a great day everybody!